When Common Sense Fails to Deliver… There’s Jesus. When I was young I enjoyed helping my father work on stuff mostly because I learned new kinds of words that would easily rhyme with duck and son of a twitch. With great interest, I would also get to see him disassemble and assemble all kinds of mechanical things. I remember we had this huge motorhome it looked like the Barbie motorhome from the 80’s but ours was real, it wasn’t pink, its stickers did not come of in the bathtub and it didn’t come with that cool corvette. Anyways, Dad would work on this thing all the time and it caused him to invent a lot of new words that many teachers at school told me were not “OK” words. He told me that this motorhome was made everywhere so all of the different people who made it had different ways of seeing and doing things. The biggest frustration was the mix of standard and metric bolts on the engine. He would always say “why can’t they just make this thing with one type of bolt?” The motorhome that we owned came from a pretty messed up theory of construction. It seems the “common sense” used on the factory floor and in the design room translated to “common let down” for the purchaser. I imagine the advertisement for our old motorhome showed families going down the road together in a utopic bliss, smiling, singing and heading toward new horizons. The only new horizons I remember were all the different gas stations and auto parts stores. The bliss, smiling and singing of our family would always melt into some kind unwanted roadside display of my father’s mechanical prowess and amazing vocabulary. There have been many “motorhome” like sales pitches that I have fallen for in my life like LA Gear “Catapults,” Milli Vanilli, and Reebok “Pumps” but one of the biggest is the lie that common sense will get you where you want to go, and one of the biggest places that I have seen its sales pitch is in evangelicalism. Don’t get me wrong I love being evangelical and at times even the ism. It’s the whole “common sense” part that I have some problems with. Did you know that there is actually a philosophy call Common Sense Philosophy? 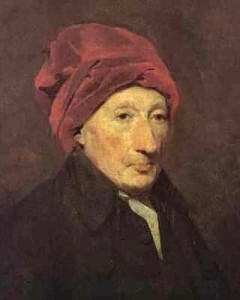 A Scottish philosopher named Thomas Reid heavily influenced theologians like Charles Hodge and B.B. Warfield. Reid believed (contrary David Hume’s philosophy) that the mind can and actually does know the world itself and not just in subjective pictures or representations of reality but rather in an objective immediate way with no mediation. Reid was a common sense realist. He believed that we can actually know the world beyond what Hume said are pictures and representations. How Reid’s particular philosophical view effected present day evangelicalism’s understanding of bibliology and as a result morality is so pervasive that it cannot even be measured. B.B. Warfield’s particular position on inerrancy was the early catalyst for the Chicago Statement on Biblical Inerrancy. Reid’s position of common sense realism and those who defended it put too much emphasis on our abilities to know the world. Many believers who follow (unwittingly) a common sense line of reasoning make knowledge or truth claims with small regard for how things like sin, history and culture have influenced and complicated them. It’s an odd form of optimism that has sin crippling our volition and not our intellect. I must say that my journey in and among different forms of evangelicalism has been similar to the old family motorhome we used to have. Our dreams of camping bliss, smiling and singing did not seem to take into account the human element of the motorhome. The flawed common sense used on the factory floor did not seem to make it to the fun and good times that the motorhome was supposed to deliver on a consistent basis. When I first became a bible believing Christian I was sold on a utopia of knowledge and truth claims that would lead to the glorious and restful campground of having it all “figured out.” The vehicle of deliverance was my study of the text. However, I was really let down like my father was with the motorhome when I realized how many conflicting processes had gone into this vast and multi-vocal truth claim called evangelicalism. I had allowed myself to believe the lie that I could completely and perfectly grasp true truth with my own mind and thus deliver myself through the gospel of common sense. I have been on the roadside of evangelicalism’s highway to heaven a time or two now using some of my father’s vocabulary and wondering what happened. What new horizons did the broken vehicle of my own common sense bring me to? Different churches, colleges, seminars, books and websites all dogmatically claiming truth and knowledge without the humility that comes with thinking they might be wrong. Turns out I was the fool for believing them. It turns out my common sense was not smart enough for this immense world of absolute truth in plural. It turns out my common sense was not Jesus. Evangelicalism seems to be the faith of common sense and I’m trying to figure out what evangelicalism is going to look like without it. Maybe more like Jesus? I had a good dad though he didn’t sell the motorhome he just kept working on it trying to get us to our destination… and we always did… I’m optimistic.